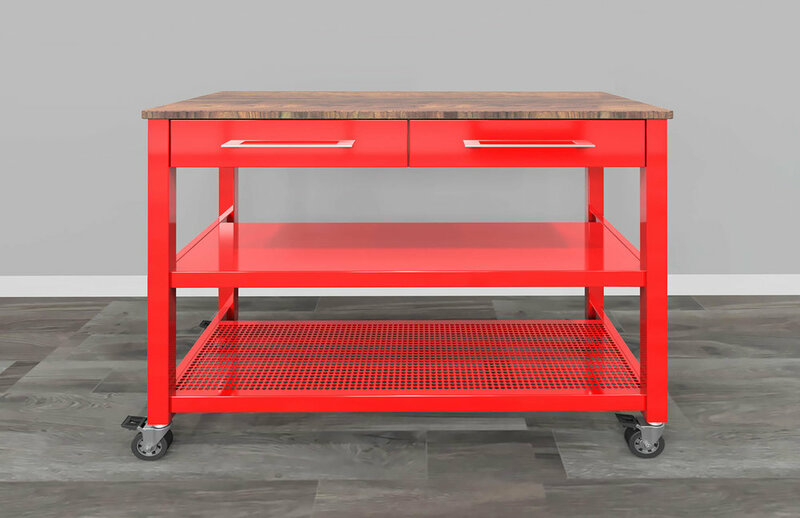 This robust steel cart is perfect for adding storage and a pop of color to your kitchen or outdoor setting. With lock down casters & two storage drawers, the Trolley can be configured with a range of features such as pot hangers and towel racks. Versatile and powder coated, this Trolley will last a lifetime.